Welcome home to the comfort and convenience you deserve. Breckinridge Square is conveniently located near I-264 & I-64, just minutes away from downtown Louisville, KY. Breckinridge Square’s exclusive amenities are sure to exceed your expectations. Relax on our sundeck next to our sparkling swimming pool or enjoy the convenience of on-site clothes care centers and a relaxing courtyard. Offering six exceptional one, two and three-bedroom floor plans, we’re certain to have the perfect apartment home for you. Providing exceptional customer service and an enjoyable living experience is our goal here. 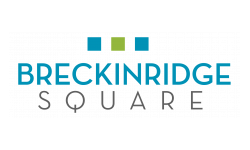 We invite you to contact us today to schedule your personal tour at Breckinridge Square!